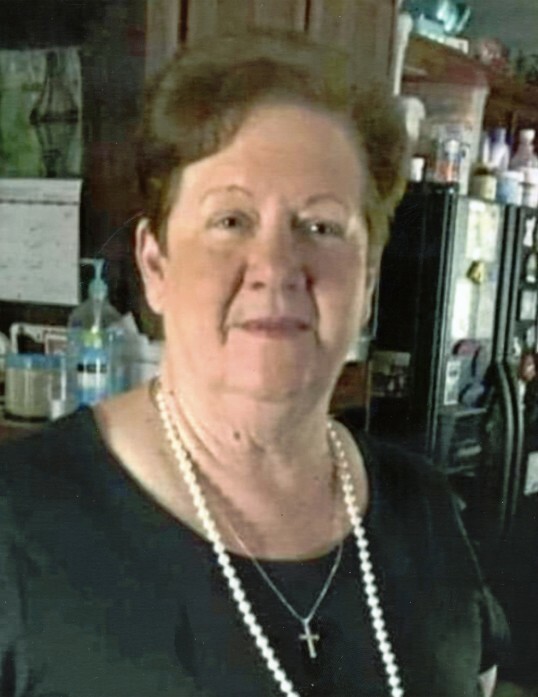 Marie Bailey, 71, of Russellville, passed away Wednesday, March 27, 2019 at Baptist Medical Center in Little Rock. The daughter of Jeff and Clytee (Wiggington) Bradley, she was born October 28, 1947 in Saltillo, MS. She was line worker for production at Tyson Foods. Marie enjoyed finding a bargain at flea markets, playing bingo, shopping, and spending time with her family, especially her grandchildren and great-grandchildren. Marie also donated Easter baskets to the Eagles Club for their annual Easter egg hunt. She will be remembered as a loving wife, mother, grandmother, great-grandmother, and sister. She was preceded in death by her husband, Gary Wayne Bailey; a son, Gary Wayne Bailey Jr; her parents; sister, Roxie Lang; and a brother, Douglas Bradley. Survivors include her three sons, Doug Bailey (Melissa) of Maine, Tim Bailey (Jessica) of Russellville, Kevin Bailey of Russellville; nine grandchildren, Gary Wayne Bailey III (Kelsi) of OK, Morgan Palange (Derek) of Maine, Tyler Bailey of Russellville, Bailey Corbin of Russellville, Olivia Bailey of Marion, Connor Bailey of Russellville, Kevin Bailey II of Hector, Landry Bailey of Casa, Khloe Bailey of Maine; three great-grandchildren; six sisters; one brother; and many nieces and nephews. Funeral Service will be held at 2:00PM, Saturday, March 30, 2019 at Humphrey Chapel. Chaplain Dave Rohr will officiate. Burial will be at Pisgah Cemetery in Pottsville by Humphrey Funeral Service. Visitation will be from 5-7PM, on Friday, at the funeral home. Pallbearers are Gary Wayne Bailey III, Tyler Bailey, Connor Bailey, Kevin Bailey II, Jeremy Frazier, Allen Massey, Keaton Massey, and Hunter Frazier. Internet obituary and on-line guest book are available at www.humphreyfuneral.com.